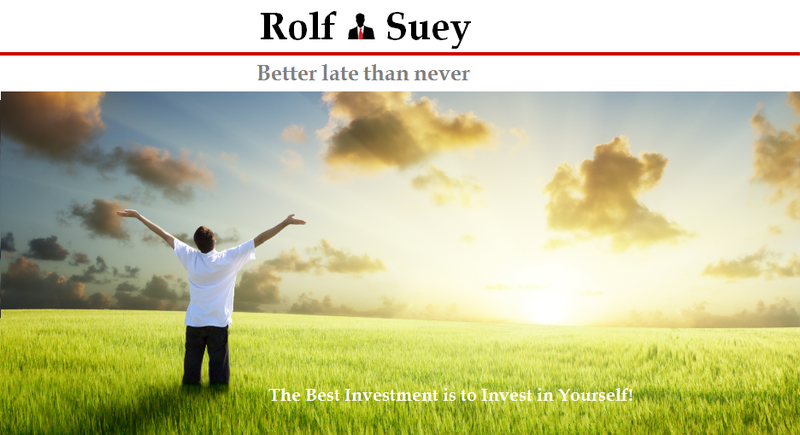 Rolf Suey - Better Late Than Never: Rolf’s investment philosophy (Part 1) - Building a character! Rolf’s investment philosophy (Part 1) - Building a character! Most savvy investor readers here probably know more about value investing, fundamental and technical analysis than I do. So while FA and TA are extremely important tools for an investors, I shall not bored you guys further with that. In the following first of the few series of Rolf’s Ideologies for investment, I will try my best to include my philosophy that is more unconventional and coupled with some of my personal experiences. Hopefully it can add some Rolf spice! Part 1 here will emphasize the importance of building the intangible aspect of successful investing. It includes the character/mental strength building and not just focusing on the analyzing skills, although the latter skills are equally important. I am an engineer by training. Before a building is built, you need construction piling. 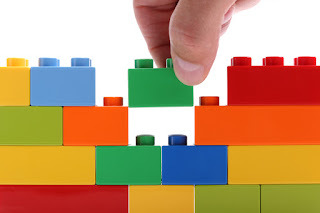 If the piles are not strong enough, the building will eventually collapse. I believe human life should be built upon the core foundations of integrity (right heart), passion (love), hardwork (discipline & perseverance) etc. The same principles apply in investment. With the core values drilled in right from the beginning is extremely important. Then plus exceptional mental strength, you will do very well later on. First criteria - Know yourself well. This is the underlying principle as my blogname suggest; Rolf Suey, re-arranging means “Yourself”. Popular blogger SMOL also reiterated this point here. To me, stock selection and what/when to buy/sell is even of secondary importance compare to knowing “why and what” you are doing with regards to the “bigger picture and longer term objective”. Not just knowing, but also continuously investing in yourself – books, articles, courses, talking to people in the same circle. Having a long term vision for my portfolio is important and it is slightly different from long term investing principle. It is not just identify one stock, buy and hold for long term. Instead for me, it is to build a Rolf’s equity portfolio with a well-mix of stocks that is robust and can be sustainable over longterm. It is liken to building a business. During the course of doing so, I will encounter many challenges and failures. It is fine and I will come back stronger. It takes time to attain success. I will constantly remind myself to be patient! Be passionate and ask yourself why you want to invest? For most people, the main reason to start their investment journey is to become financially freed achieving X amount, in Y years, just like a NSF counting down his days to ORD! By all means, it is admirable to start planning and working on your financial freedom early. But just to be financially freed and retire early to relax and stop working, should not be the underlying reason. My answer: 1) Additional tap of income 2) To learn more about different businesses. 3) To impart these skills to my children, people around me and the community. Today, investment has become a part of my life. I am passionate and enjoy doing it! THINK BIG! So far when I do something passionately, I like it to be really big. It is a trait that is within me since young. In investment, I hope that one day, Rolf’s portfolio and my investment knowledge not only can create a comfortable income for me and my family, but also help people around me and the community. Perhaps even create jobs for this country and beyond. I am not joking really. Wish me luck! If you are interested in Think Big, there is a book by Donald Trump written around it. Read : Mark Zuckerberg’s 3 Stories - Mission, Care, Look Ahead! I am competitive by nature and love wining since young. With much humility, I did have several achievements at national levels and also a successful career to speak of thus far. In spite of my earlier successes, I LEARN SO LITTLE. On the contrary, I learnt the most when my life hit the trough. As I grow older, my explosive nature becomes more placid and yet more focus! I reflected my life often nowadays and start to think that winning over my peers is not so important afterall. This energy of jealousy can be better channeled to focus on beating myself. And to continue invest in myself to beat the stock market! As like any novice investors, I initially thought that just by mastering the analyzing skills of a stock, I can become very successful in investing. This is a fallacy. You need to also have the RIGHT temperament either to stomach the paper losses of the market or to be patient when the market is in a bull rally. “Temperament is more important than IQ. You need reasonable intelligence, but you absolutely have to have the right temperament. Otherwise, something will snap you.” – Warren Buffett. The personal experiences (crises) I gone through in life had probably carved out quite well this quality in me. Now I just need more stock market crisis to further build this up for me. Haha…. I am just kidding! Read: Crisis? We should be happy because it is the best time to learn! To have to right temperament, aside from my own experiences, I often reinforced it by reading biographies of famous people. I enjoy doing that. Ok… maybe I am also quite “Kay poh”. The life story of a person can tell us a lot. Not necessary those successful ones, but those not successful ones can also teach us a great deal. My career also allows me to travel widely and meet many people of different backgrounds. By talking and learning from those who are successful and have more life experiences than me, also help to build a stronger me. Once a philosophy I think most suitable to me is ascertain, I like to consistently remind myself. Either by writing it out, or constantly communicate the ideology to people around me. It can be blogging, commenting on blogs or speaking to family members, friends and colleagues. Over time, you will be so good that you can explain so simply and systematically your winning ideology for others to understand. For instance, you will realise how great investors always like to be interviewed by journalists. During the interview, they always repeat the same philosophies they believed in! “Do not worry about mistakes in life. It is good to lose money and go broke at least once, preferably twice. But does it early so that you are talking about US$20k not US$20mil, which you still can come back. Losing everything can be beneficial because it teaches you how much you do not know. And if you can come back from a failure or two, chances are you are going to be more successful in the long run.” - Jim Rogers. I admit my mistakes and I think I have become a better investor! Read : Be it in life or investment – Just "know and understand" is NOT good enough! Admit and knowing mistakes are not sufficient. You need to take action to mitigate it. One critical mistake an investor made is NOT selling their losing stocks whose fundamentals have worsened. By fundamentals worsened, it means company losing it’s economic moat, balance sheet deteriorates rapidly due to unforeseen circumstances or getting implicated with fraud etc. It is not always true that “what goes down is bound to rise up again, as long as I wait.” The sad truth is not all companies will have their share prices bounce back to the levels of what you initially bought! Yes, blue chips are not exclusive either! Just look at the fate of the once dominant Kodak and Nokia! Read Dos & Don'ts during Oil Crisis! No doubt, it is painful to sell at a realized loss initially, but the pain can be alleviated later if the stocks plunged further. I did sell many stocks last year at losses after the stock market start its decline in June and then later black Monday in August. Total realized loss trades made were more than S$20k. Ok, it is peanuts compared to many! But it is not a small sum either to sell at a realized loss! Ask yourself, can you do it? While it was offset by realized gains elsewhere, it is still painful. I reflected this loss shortly later and strangely, I was actually feeling very happy that it happened. Perhaps the loss was not substantial enough to wipe me out or to cause me losing sleep. Hence I can come back stronger. I also feel I had made a big step forward in my investment journey, to be able to stomach losses. Fortunately those stocks that I sold off have seen hitting even lower share prices today. Stay tuned to Part 2. I love your philosophy. It has all the right ingredients for sustainable success. Must bookmark this page, no, this blog for my kids to read when they embark on their money earning phase. Thanks for the compliment. It is my greatest honor that my blog can be supplement to your masterpiece for kids’ reference. Donald Trump is extremely smart and eloquent. I have been following USA Presidential debate. I like that he is direct and tell the truth albeit a bit crude with profanity. But he was never my favourite. He uses too much head than heart. Somehow the warmth is lacking. Tks for dropping by. The biggest enemy tend to be ourself. Well post its tell us a civil engineering student how to practice in practical and how to make building arts with easy way thanks for share it organic search marketing .